The main aim is to minimise the risk of failure by conducting good market research. The purpose of the following information is to share with you the process I developed when establishing either a totally new business or a new product or service within an existing business. I’ve invented a few products and services over the years and not all have turned out to be successful. I’ve wasted money on ideas for products that to me, being the inventor, were an “absolute cert”. Anyway, after a few spectacular failures, I decided to map the development process I undertook for the successful products and refined this further using my knowledge of statistical analysis that I had studied at university. I developed a blueprint model for the success of a new product or service. The blueprint model I developed is available from this link. Even though I designed the blueprint model myself I still cut corners, not following the flow charted model step by step, and charged off on a tangent all excited about a particular product that I was sure would “take off”. Not, so. Anyway, I produced a number of these not-so-well-researched products which became outdated within three months of the market launch leaving me with boxes of obsolete stock. That’s the problem with designing products that cater for technology, at the time you think you have a wonder product that ticks all the boxes, but the market quickly moves on. I placed the products into storage and… a few years later… I happened to find an alternative use for them with a new technology-based product that appeared on the market. Hey presto! My products, by a fortunate twist of fate, could house the new products perfectly as a modern-looking, secure and convenient storage container. Fortunately I managed to sell the lot and recover all of my initial set up and production costs… but all at no profit! After that, I did follow my own blueprint model and had a number of successes. If you have any questions after reading the information, go to our Contact Us page on our website. Tauranga Plasterers Limited was established in 1963. The company was sold to David Martin in 1974 where it has stayed under his directorship until recently when the mantle of responsibility was passed on to me, his son-in-law, ensuring that the Tauranga Plasterers Ltd remained a family business. We have been serving the Tauranga and Bay of Plenty region, providing quality finishing and professionalism in the installation and plastering of fibrous plaster and plasterboard systems through our strong team of certified tradesmen for almost 50 years. For the last 6 years I have gained great insight into the growing construction industry in the Bay of Plenty region and utilise this knowledge to strengthen the relationships with existing and future clients in my plastering business. Sales have grown rapidly and at this stage I realised that I needed some help to put together a business plan. I had heard of the DaltonPlan business plan through one of my clients who had worked with Dean Dalton and recommended him. So, Dean and I worked together in March 2014 and his plan has met my expectations; giving me an outside perspective, direction, priorities and focus. 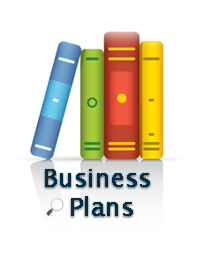 I also had some ideas that needed to be put in place by an experienced business planner. We work in an industry that is mainly price driven so when Dean showed me his DaltonPlan® Business Benchmarks for this industry I thought it would be difficult to meet them for some jobs, especially the ones that are on the lower end of the market. This logic dictated that we work in the medium to higher side of the market, which we do, and gain better profitability there. Dean has showed me how we could increase the profitability by putting higher value on specific materials or technical skills required for certain contracts. It's all about identifying our unique value and expertise; knowing that no one else can do it! Then came the flow charts! We're really happy that we have sat down and 'dissected' processes and operations. Now we can define the best way to do things. It has allowed us to see gaps and cracks (no pun intended) that did not need to exist. Since March we have implemented about 15 to 20 flow charts in accounting and job processing. We're continuing to refine them. This business plan has helped me to become more focused, understand the value of the service we provide, gain more confidence and ultimately a feeling of control. It is reassuring to know that you have that business plan folder in your office that you can refer to. It has been a pleasant experience and Dean is still available for ongoing support if I have questions. The DaltonPlan® Business Plan has also given us an identity as we went through rebranding; new logo and new ideas ultimately delivering new confidence.